From the start of the Garage Solution Condominiums Campus we’ve asked people if their hobby was bigger than their garage. Some who answered yes, purchased a garage here. Six of those owners went on to upgrade their garage to an even larger space. Jason is one of those owners. He purchased a double garage, 48×50, which by most standards is a big garage. Initially it was plenty good, but as sometimes happens, his car collection grew and before long his hobby was bigger than his garage. His garage currently contains 13 vehicles, 2 motorcycles, a golf, cart, a scooter, a workshop, and a nice living area. He has outgrown his garage. This garage is one of the nicest properties here. It is an end unit with windows, air conditioning, in-floor heat, floor drains, upgraded electrical, ceiling fans, drywall, custom floor coating, water softener, water heater, security system, and more. The 14×24 mezzanine is a comfortable lounge space. The private, upscale bathroom has a luxury two person shower. This is no ordinary garage. 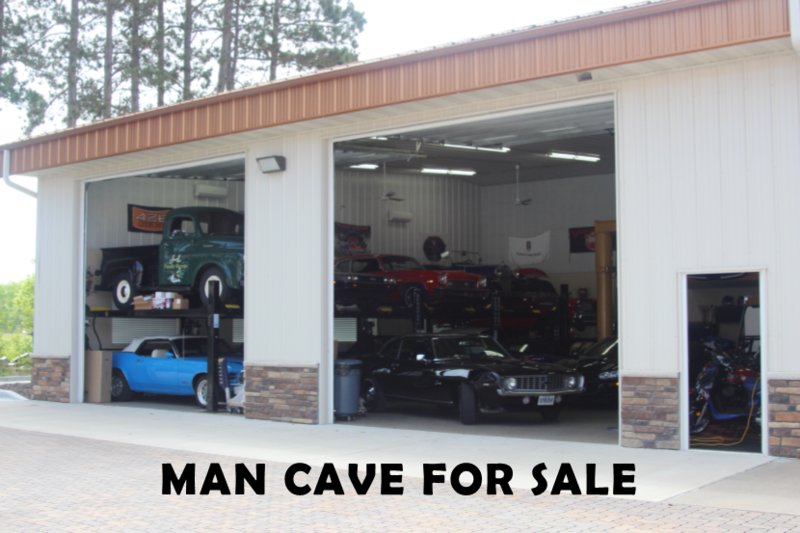 This garage is one of only two available. Admittedly, it isn’t for everyone. It is for someone who is passionate about their hobby. It is an opportunity to join this motorsports community. An opportunity to grow your garage, grow your hobby, and grow your circle of friends. If your hobby is bigger than your garage, this could be the answer. Contact Joe for details and to arrange a showing.